NCHMCT JEE 2019 would be conducted by National Testing Agency (NTA) for the coming academic session. NTA is an agency of the central goverment. The admission portal for NCHMCT JEE 2019 would open on January 15, 2019. Thus, candidates can fill their NCHMCT JEE application form from January 15 itself. National Council of Hotel Management and Catering Technology (NCHMCT) used to conduct Joint Entrance Examination (JEE) each year to offer admission to aspirants in hospitality and hotel administration programmes. NCHMCT is an autonomous body under the Ministry of Tourism, Government of India. NCHMCT was established in 1982. By clearing NCHMCT JEE 2019, candidates can secure admission in more than 63 IHMs. Further, break-up of the number of institutes that accept NCHMCT JEE scores for admission is - 21 Central Institutes of Hotel Management, 22 State Government Institutes of Hotel Management, one Public Sector Undertaking and 14 Private Institutes of Hotel Management affiliated with NCHMCT. Apart from this, a total of 12 Food Craft Institutes, 2 SIHMs (running only diploma level program) . All these colleges offer standardised course curriculum as prescribed by NCHMCT for the various programmes that they offer. Earlier, only 6 IHMs used to offer BSc HHA with Vegetarian Cooking Option but now all IHMs offer this course. Go through the list of colleges accepting NCHMCT JEE scores for admission. Talking about the courses offered by the colleges, the official website of NCHMCT states: “Through the Council, these institutes offer 10 different professional programmes leading to award of Certificate, Diploma, Post Graduate Diploma, Bachelor and Master Degree. 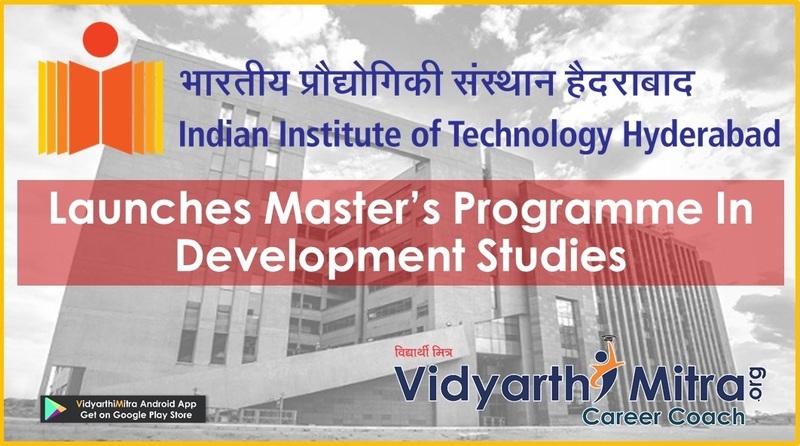 The BSc and MSc programmes are offered in collaboration with Indira Gandhi National Open University – IGNOU”. As per the NCHMCT JEE brochure, the Council, till date has trained approximately 80,000 Hospitality Managers, Executives and other operational personnel. The tentative NCHMCT JEE exam date is April 27, 2019. Candidates can view NCHMCT JEE exam dates. Candidates are informed that NCHMCT JEE 2019 would be conducted by NTA for the first time, this year. Earlier, National Council of Hotel Management and Catering Technology (NCHMCT) used to conduct NCHMCT JEE exam. NTA would be conducting NCHMCT JEE 2019 as a computer based test (CBT). This is a major change as NCHMCT JEE was earlier conducted as an offline hospitality entrance exam. Admission through NCHMCT JEE will strictly be on the basis of the candidate’s performance in the All India (Written Test) JEE. Based on marks scored by a candidate in NCHMCT JEE, he/she will be allotted an All India Rank (AIR). No group discussion or personal interview round is conducted for shortlisting candidates. So, admission is offered only on the basis of NCHMCT JEE merit and rank. 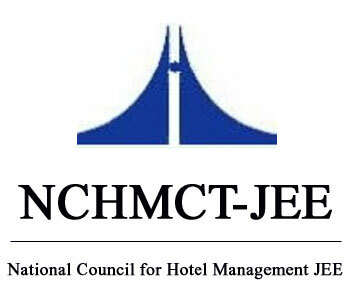 NCHMCT JEE 2019 application form is available online on the official website of National Council of Hotel Management and Catering Technology (NCHMCT). Candidates can submit their application form for NCHMCT JEE exam either online on by hand. Candidates can download their admit cards from the official website of NCHMCT JEE 2019 from April 2019 onwards. One copy of NCHMCT JEE Admit Card, which is duly attested by Gazetted Officer/Head of Institution last attended/Bank Manager of scheduled Bank/Area Post Master, has to be deposited with the invigilator for his/her signature. The admit card needs to be preserved by the candidate and produced at the time of Counselling, whereas, the second copy of the Admit Card is to be deposited at the examination centre. Candidates need to appear for the NCHMCT JEE exam as per the schedule and exam centre mentioned on their admit card. NCHMCT JEE 2019 is a three hour duration exam which consists of questions from five subjects which are - Numerical Ability and Analytical Aptitude, Reasoning and Logical Deduction, General Knowledge & Current Affairs, English Language and Aptitude for Service Sector. Aspirants need to check their results for the written entrance exam on the official website of NCHMCT JEE. Candidates can check their results by filling in their roll number and date of birth. At the time of counselling, the eligibility of candidates for admission is checked and their documents are verified. The NCHMCT JEE 2019 counselling fee is Rs 1000. Apart from this, candidates are asked to pay their counselling as well as first semester fee. At the time of NCHMCT JEE Counselling, candidates need to mention their college preference for admission on the basis of their AIR. The allotment of college through counselling will be done on the basis of merit (AIR) and choice (of Institute) exercised by the candidate. The official website of NCHMCT JEE informs: "Change of Written Test Centre within a city will not be considered. Under exceptional circumstances, change of centre may be permitted if an application with valid reasons for the change of centre is received in the JEE Cell on or before the last date along with non-refundable fees of Rs.1000/- through Demand Draft drawn in favour of NCHMCT, payable at Delhi/NOIDA. The National Council for Hotel Management reserves the right to reject such request in case the test centre is not in a position to accommodate any extra candidate". A proper time table helps to set a clear action goal for the exam.Time table should be created in such a manner that you have allocated enough time for each subject. Set weekly targets and try to finish them in set time frame. Be punctual with study plan and follow routine regularly. Candidates should start reading at least 2-3 newspaper daily 1 year prior to the exam. This will not only help candidates to update their general knowledge & current affair but will also improve vocabulary and increases reading comprehension skills. Regular revision is must while preparing for NCHMCT JEE. Revision of all important/ hard topics as well as easy topic is necessary. Numerical ability & reasoning section of the exam requires good amount of practice. Regular revision helps in memorizing all the studied topics till the last date of the exam. Solving previous year papers helps in determining exam pattern, difficulty level and important topics related to exam. While solving mock papers helps in increasing speed & accuracy of solving questions of the exam. Try solving mock papers in stress & time bound environment to analyze your performance. Aptitude for service selection is one of the difficult sections among all the section in NCHMCT JEE exam. Questions asked in this section are based on hospitality sectors. To possess good knowledge of this sector candidate should start reading travel & tourism related books such as Outlook Traveller, Go Now and Destination India. Having a good set of study material is always helpful while preparing for NCHMCT JEE comprise which comprises of 5 sections. Candidates should prepare from the best books available in the market. Students must also check the study materials available in the Internet for better preparations. 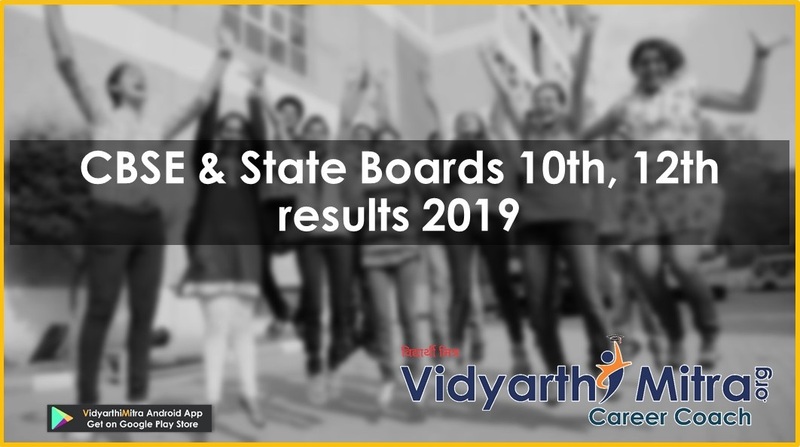 Candidates are eligible to apply for NCHMCT JEE 2019 if they cleared their 10+2 or its equivalent examination with English as one of the subjects studied. Apart from this, candidates will meet the eligibility criteria for NCHMCT JEE only if they have secured passing marks in English (core/elective/functional) in their qualifying examination. Candidates who are appearing for their 10+2 or equivalent exam are also eligible to appear for NCHMCT JEE 2019 on provisional basis. 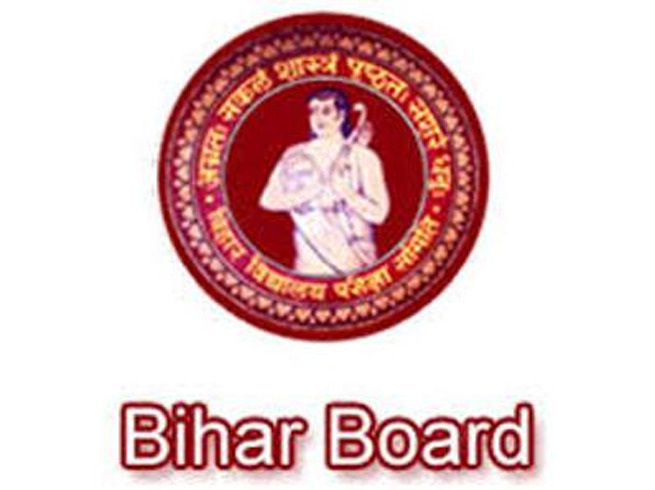 However, admissions offered on provisional basis will stand cancelled if the candidate fails to submit proof of clearing the qualifying examination (10+2 or its equivalent) at the time of counselling or at the time of admission or latest by September 30, 2019.
recognized Boards of school examination wherein up to 2 lacs candidates appear or 1st to 500 rank holders from Board of Examination where 2 lacs to 5 lacs candidates take examination. The inter-se-merit from recognized School Boards of examination shall be at par". The upper age limit for candidates from this category is 22 years as on July 1, 2019. Candidates born on or after July 1, 1997 are eligible to apply for NCHMCT. The upper age limit for candidates is 25 years as on July 1, 2019. SC/ST candidates born on or after July 1, 1994 are eligible to apply for NCHMCT. The upper age limit for Physically Challenged candidates shall be reckoned as per the category he/she belongs to, that is, General/SC/ST/OBC. The Date of Birth (DoB) as recorded in the Secondary Education Board/Pre-University Certificate of candidates shall be accepted. This certificate needs to be presented by candidates in original at the time of counselling, failing which the candidate will not be considered for counselling/admission. In NCHMCT JEE, 15% and 7.5% seats are reserved for SC and ST category candidates respectively. This reservation is offered to candidates in Central and State Government Institutes of Hotel Management. Vacant seats in these categories shall not be filled by candidates belonging to any other category. Around 27% seats are reserved for OBC (Non creamy layer) category candidates in Central Institutes of Hotel Management. Here, one needs to note that OBC candidates belonging to the creamy layer are not entitled for any reservation. Seats remaining vacant in this category shall be filled by General Category candidates, as per Hon’ble Supreme Court ruling. Candidates, who want to apply for admissions under any of the reservation categories in NCHMCT JEE 2019, need to furnish their caste certificate issued by a competent authority. • SC, ST & OBC category issued by District Magistrate/Additional District Magistrate/Collector/Deputy Commissioner/Additional Deputy Commissioner/Deputy Collector/1st Class Stipendiary Magistrate/City Magistrate/Sub-Divisional Magistrate/Additional Chief Presidency Magistrate/ Presidency Magistrate/Revenue Officer not below the rank of Tehsildar/Sub-Divisional Officer of the area / Administrator/Secretary to Administrator/Development Officer (Lakshadweep Island) where the candidate and/or his/her family normally resides. Certificate issued by any other authority will not be accepted. 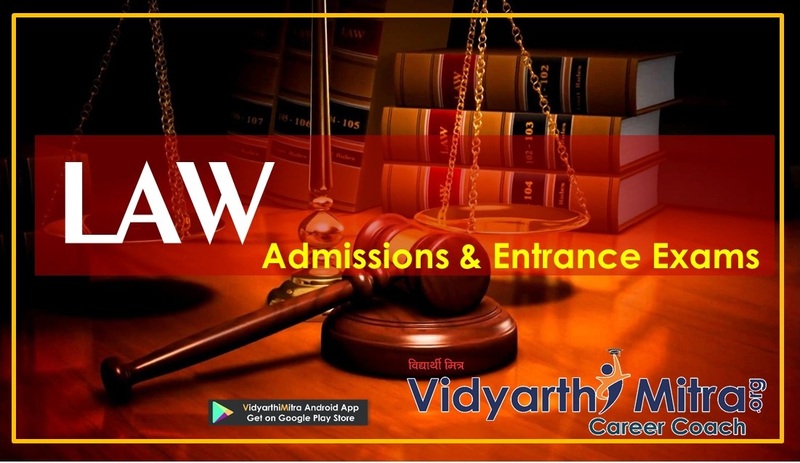 Candidates are required to produce the original Caste Certificate along with attested copy at the time of Counselling as well as at the time of admission at the Institute. Around 3% seats (in every category) are reserved for Physically Disabled candidates in all Central & State Government Institutes of Hotel Management. The official website states: “For any category of disability (viz. locomotors, visual, dyslexia, speech, and /or hearing) benefit would be given to those who have at least 40% physical impairment”. One seat (Supernumerary) in each Central and State Government affiliated IHM is reserved for Registered Kashmiri Migrants. Such applicants were said to be eligible to qualify for NCHMCT JEE 2019. Numerical Ability: Elementary Mathematics, Number Systems, Arithmetic (Number Theory), Square Roots, Fractions and Decimals, Cube Roots, HCF and LCM, Variation, Simplification, Ratio and Proportion, Chain Rule, Averages, Problems on ages, Logarithms, etc. Reasoning: Verbal Series, Analytical Reasoning, Non Verbal Series, Direction and Distances, Complex Arrangements, Linear Arrangements, Analogies, Coding & Decoding, Classification, Blood Relationships, Alphabet Test, Symbols and Notations, Data Sufficiency Test, Syllogism, Data Interpretation Test, etc. General Knowledge & Current Affairs: Sports, Culture, History, Abbreviations, Important days, Current events, General Politics, Scientific Research, Economic Scene, Indian Constitution, Knowledge of Current Events, Countries & Capitals etc. English Language: Tenses, Grammar, Articles, Synonyms, Antonyms, Conclusion, Vocabulary, Comprehension, Error Correction, Word Formation, Theme detection, Unseen Passages, Fill in the Blanks, Idioms & Phrases, Idioms and Phrases, Passage Correction, Sentence Correction, Sentence Completion, etc. Following are some preparation tips that aspiring candidates can follow to score good result in NCHMCT JEE. Improve your English Skill: English section of NCHMCT JEE comprise of 60 marks which cannot be ignored. Candidates are required to improve their command in English which can be achieved by reading good English grammar books, English newspapers, magazines etc. Keep General Knowledge Up to Date: GK is an important section of NCHMCT JEE exam. Be up to date with your GK & current affairs. Be in habit of reading 2-3 newspaper daily 1 year prior to the exam. Prepare notes related to various events and there dates. Candidates can also follow news on TV and internet. Take Care of Your Health: While preparing for exam candidates must take care of their health. This can be achieved by maintaining proper schedule of eating & sleeping. Candidates can also try meditation techniques for mind relaxation. Practice Regularly: Candidates while preparing for NCHMCT JEE should follow a strict study routine. Candidates are required to regularly revise & practice topics which they have covered. Topics such as reasoning & numerical ability require a lot of practice. Exam Mode: NCHMCT JEE will be conducted in online mode (computer based). Exam Medium: Exam will be in both English & Hindi. Question Types: Multiple Choice Questions (MCQ’s). Total Marks: The question paper will contain total 200 marks. Exam Duration: Exam will be of 3 hours. Number of Sections: There will be total 5 sections (English Language, Numerical Ability & Analytical Aptitude, General Knowledge & Current affairs, Reasoning and Logical Deduction, and Aptitude for Service Sector) in the paper. Marking Scheme: 1 mark will be given for correct answer & 0.25 will be deducted for each wrong answer. 1 marks for most appropriate answer. 75 for next to most appropriate answer. 50 for next to next to most appropriate answer. 25 will be deducted for incorrect answer.